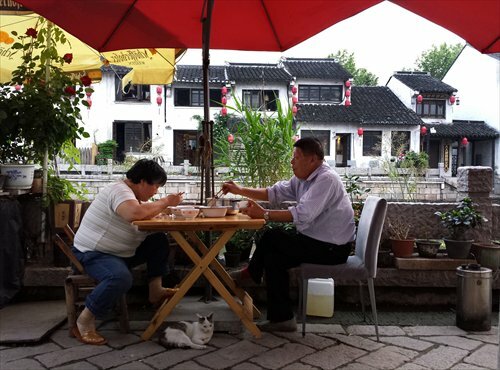 People in the city of Wuxi, Jiangsu Province live their lives next to the world's longest canal much as they have for hundreds of years. 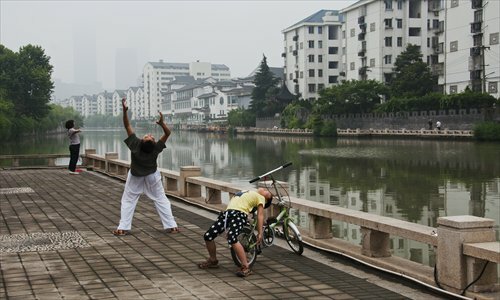 Wuxi is the only city that has the 1,797-kilometer-long Beijing-Hangzhou Grand Canal running through its center. The canal, first dug 2,500 years ago, was awarded the status of "world cultural heritage site" by UNESCO last year. Since then, cities along the canal have boosted their protection of the ancient waterway and restored some of its functions. Wuxi reopened a ferry pier on the canal to serve local transport and tourism purposes after the canal became a world heritage site. 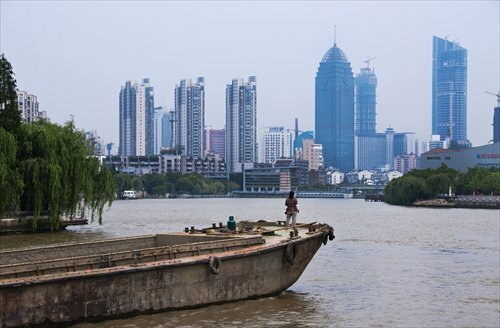 There were more than 50 piers in Wuxi before 1949, which were all abandoned as people started to use more efficient modern transportation methods. 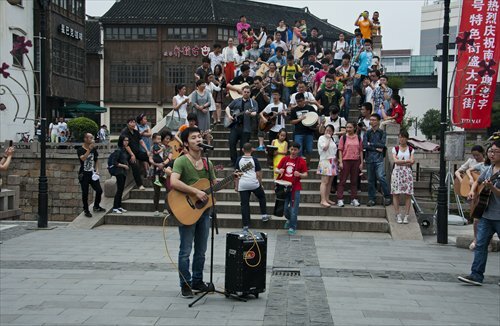 The reopened Wulongtan pier serves as a new tourist attraction in the ancient architecture area around the canal, which features historic buildings and the residences of well-known figures from times gone by. 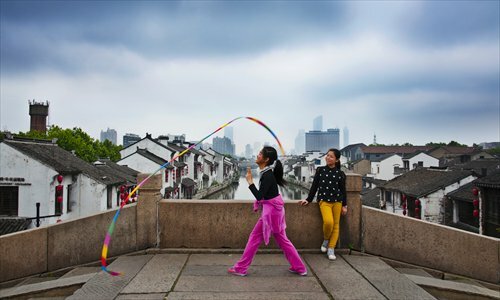 This scenic area has attracted half a million tourists over the past five years. The canal is still part of everyday life for people living in the old neighborhoods alongside it, and there are still fishermen living on fishing boats. Today, strolling next to the canal one can see people playing games and relaxing, as well as youngsters bringing a new lease if life to the ancient area.